In this science fiction series, a time-traveling alien comes to Earth in order to save the planet from extraterrestrial menaces, and in the process he picks up an earthly traveling companion. This classic version of the series ran from 1963 to 1989, with various actors playing multiple incarnations of the Doctor. Fenric is loose and planning to use the Ancient Haemovore to poison the Earth with chemicals, unless the Doctor can defeat him in their centuries old game. The Doctor and his friends come under attack from the Haemavores, allowing Millington to retrieve the flask containing Fenric's essence. The Doctor and Ace manage to convince Sorin to release them while Millington and Judson attempt to translate the Viking runes. England, the 1940s. The TARDIS brings the Doctor and Ace to a secret naval base during WWII. There, the time-travellers battle vampiric Haemovores and an ancient Viking curse! The Doctor attempts to convince Light to put an end to Smith's schemes but instead Light aims to put an end to Earth's evolution. The Doctor manages to rescue Ace from the husks and then tries to uncover the truth about the goings on in Josiah's house. England, 1883. The Doctor brings Ace to a house called Gabriel Chase in her home town of Perivale. The Gothic mansion is presided over by one Josiah Samuel Smith--an evolved alien brought to Earth in a stone spaceship that is now in the basement beneath the house, and which still holds an ancient evil capable of wiping out the world. Morgaine forces Ace and Shou Yuing to hand over Excalibur by threatening to release the Destroyer, so the Doctor and the Brigadier enter a dimensional portal to stop her. The Brigadier rescues the Doctor from the stone spaceship before they set out to locate Morgaine before she gains Excalibur. The Doctor and Ace discover a stone spaceship underneath Warmsley's archaeological dig while Mordred summons Morgaine to Earth's dimension. The plot thickens massively, as the Doctor goes into the Dark Circus with the Gods of Ragnarok. Mags, Kingpin and Ace meet together and kill the clowns (androids) and the Chief Clown. The Gods then revive the Captain (it is implied) in order to stop Ace, Mags and Kingpin from helping the Doctor. The Captain is then killed by falling into the eye. The Doctor destroys the Gods and the Dark Circus and escapes, while the main circus tent is destroyed back on Segonax. Mags helps the Doctor escape and Deadbeat leads him to Ace, where Bellboy tells them what happened to the Psychic Circus. The Doctor and Ace reach the Psychic Circus, where the Doctor is imprisoned with the other contestants while Ace draws the attention of the Chief Clown. The Doctor and Ace visit the Psychic Circus on the planet Segonax, where they find the standard of judging at the talent contest distressingly astringent. The Doctor and Ace battle the time traveller Lady Peinforte and the Cybermen for possession of the incredibly powerful Nemesis statue, which is on its way back to the planet Earth to rendevous with a destiny set in stone by the Doctor himself. As hostilities break out between factions vying for ownership of the comet, the Doctor goes after the worst of the lot - Cybermen, using Ace's upgraded boom box to flood Cyber Communications with jazz music while trying to locate the whereabouts of the fleet beyond this mere scouting party. To finally eradicate all "killjoys and bunglers", Helen A sets Fifi down the city pipes to take care of those hiding below ground while she ticks off those above in her entertainment Forum and, as for the Doctor, she fully unleashes The Kandy Man. The Doctor, however, strikes back by endeavoring to turn society on it's ear, staging a party alongside anti-government "Killjoy" demonstrators to out-happy the Happiness Patrol, robbing the patrol of both its power and immunity by relatively turning THEM into the immediate area killjoys (at least for a little while). Hearing Ace has escaped down into the pipes beneath the city, Helen A sends down her rat-dog, Fifi, for a bit of sport and fresh meat. Meanwhile, the Doctor confronts Helen A's population control program, aiming to take out a couple of snipers stationed to pick off anti-government protesters. The Earth colony Terra Alpha, the future. With the aid of her sweet-natured executioner, Helen A, ruler of the planet, has ensured the population is happy - on pain of death! The Doctor and Ace decide to fight for the right to be miserable. The Imperial Dalek Emperor reveals himself to be an old, familiar adversary of the Doctor. Now with the Hand of Omega, the Imperial Daleks expect to rule over both time and the Time Lords. The only snag in the Doctor's plan to thwart this may come from the fascist mole in Gilmore's unit - discovered and detained but escaped to cause mischief, putting both Ace's life and the Doctor's plan at risk. Doctor Who (1963) is currently available to watch and stream on BBC One. 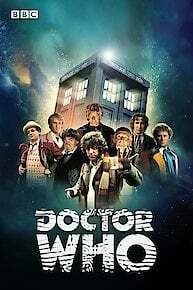 You can also buy, rent Doctor Who (1963) on demand at Vudu, Google Play, DIRECTV NOW, iTunes online.